Maria de Jesus was nine days old when New Zealand became the first country in the world to grant women the right to vote. The year was 1893, during which Mahatma Gandhi committed his first act of civil disobedience and a crash on the New York Stock Exchange sparked a grave depression. 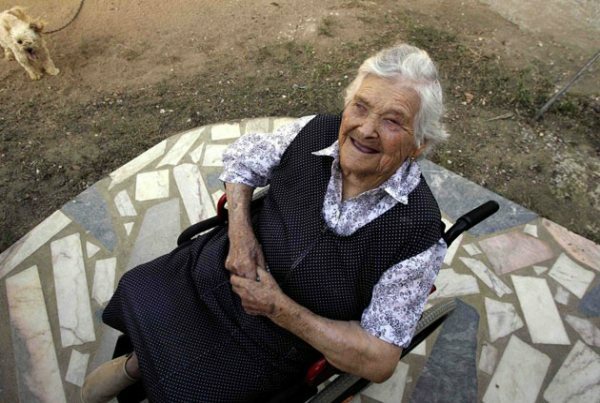 Yesterday, at the age of 115 years and 114 days, Mrs de Jesus, the oldest person in the world, died. Widowed in 1951, she had outlived two of her five children but was survived by 11 grandchildren, 16 great-grandchildren and six great-great-grandchildren. She had only been to hospital once in her life. In her homeland of Portugal, she had lived through the 1910 revolution that deposed the monarchy, the 1926 military coup that installed the Salazar dictatorship and the 1974 "Carnation" coup that heralded democratic reform. Born on 10 September 1893, Mrs de Jesus married Jose dos Santos when she was 26 and worked all her life on the land in Ourem, a town near the pilgrim centre of Fatima in central Portugal. While she never smoked, drank alcohol or ate meat, she had a weakness for rice pudding and ice cream all her life. Her later years were marred by problems with her hearing and sight but she remained alert and said a few years ago she still enjoyed sunbathing on her porch and looking through family albums. Her daughter Madalena, 84 on Christmas Day, continued to look after her at home. Her family said she had become ill there yesterday and died in an ambulance on the way to hospital. It was just five weeks ago that she became the world's oldest living person when the American Edna Parker died, aged 115 years and 220 days. Guinness World Records named Mrs de Jesus as the best candidate for "Oldest Person Living" but said this was still subject to official confirmation. The title now passes to another American, Gertrude Baines, born on 6 April 1894. The oldest man is 113-year-old Tomoji Tanabe of Japan. The longest documented lifespan is that of the Frenchwoman Jeanne Calment. She died in 1997 at the age of 122 years and 164 days.